Dr. Patrick I. Borgen is Chair of the Department of Surgery at Maimonides Medical Center. He also heads the Maimonides Breast Center at the Maimonides Cancer Center, which is the only fully-accredited Breast Center in Brooklyn. Dr. Borgen was recruited from Memorial Sloan Kettering, where he served as Chief of Breast Services, Head of the Breast Cancer Research Laboratory, and Director of the Breast Cancer Disease Management Team. Dr. Borgen has received numerous research grants from the National Institutes of Health, the American Cancer Society, the US Army and the National Cancer Institute. Widely published in peer-reviewed publications, Dr. Borgen is on the Editorial Board of Annals of Surgical Oncology, and on the Peer Review Board of The Journal of the American Medical Association (JAMA). He is Guest Editor for: Surgery, Annals of Surgery, The Journal of the American College of Surgeons, Breast Diseases, Breast Diseases Quarterly, The Breast Journal, The Lancet, Archives of Surgery and Journal of Clinical Oncology. He is editor of three major textbooks on breast disease, and has contributed chapters to 15 other texts. To date, he has published over 200 articles in peer-reviewed journals, 139 abstracts and 15 editorials. Dr. Borgen has been Chairman of the American College of Surgeons Breast Cancer Trials Group, as well as a Member of the Executive Board of Directors of the American Society for the Study of Breast Disease. He is currently on the Executive Boards of the Breast Cancer Alliance, Inc. and of Tulane University, and a member of the American Joint Committee on Cancer, Breast Task Force. His special interests include motorcycling, horseback riding, painting and music. His honors and awards include: Best Doctors in America, Castle Connolly Guide, 2002-2008; Best Doctors in New York, New York Magazine, 2003-2008; Who's Who in American Medicine (Harper Row, 1997-2002); Vincent Feliciano Memorial Lecturer; Harvey Lecturer 2002, American Association of Cancer Educators, Toronto; Lawson Memorial Visiting Professor, East Tennessee State University, Johnson City, TN, November, 2002; Foundation Fellow, Royal Australasian College of Surgeons, 1998; Molin Foundation Award, April 1993 Grant Period, 1993-1994; and the Jarrell Memorial Traveling Fellowship Award, American College of Surgeons, 1989. Manjeet Chadha, MD, MHA, FACR, FASTRO, is Professor of Radiation Oncology and also serves as the Director of the Department of Radiation Oncology Mount Sinai Downtown. She received her residency training in Radiation Oncology at Memorial Sloan Kettering Cancer Center, and also completed Brachytherapy Fellowship from Memorial Sloan Kettering Cancer Center. Dr. Chadha is board certified by the American Board of Radiology and has a Masters in Healthcare Administration from the Mailman School of Public Health, Columbia University. Dr. Chadha's clinical practice focuses on the treatment of breast cancer, gynecologic malignancies, skin cancers, sarcoma and lymphoma. Her clinical expertise is in delivering risk-tailored personalized treatments in a passionate and caring manner. Dr. Chadha has extensive experience treating patients using combined modality therapy and advanced technologies that precisely target radiation to minimize affecting healthy body tissue. These technologies include three-dimensional conformal radiation therapy (3D-CRT), intensity modulated radiation therapy (IMRT), image-guided radiation therapy (IGRT), high-dose rate and low-dose rate brachytherapy, and intra-operative radiation therapy (IORT). 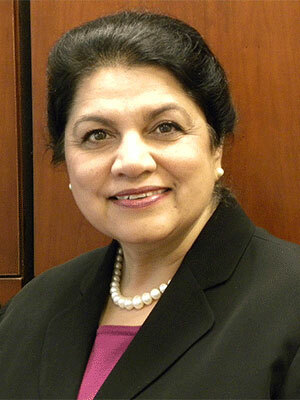 Dr. Chadha is nationally recognized as an expert in the treatment of women's cancers. Her research interest has included strategies that reduce patients' burden of treatment while achieving excellent clinical outcomes and quality of life. Dr. Chadha has co-authored numerous peer-reviewed articles and book chapters, and she has lectured at national and international meetings contributing to cancer treatment topics. 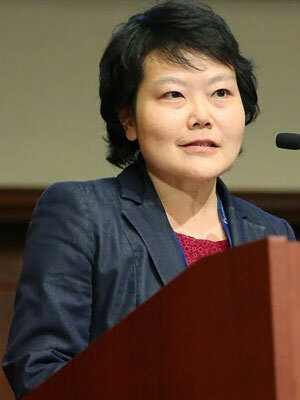 She serves as a reviewer for a number of cancer journals. Dr. Chadha has a special interest in improving the quality of care in cancer delivery, and serves as Chair of the Quality Assurance Committee in Radiation Oncology. She also serves as a member of the Quality Council at Mount Sinai Health System, and the American Society of Radiation Oncology. Dr. Chadha has been President of the New York Metropolitan Breast Cancer Group and President of the New York Roentgen Society. She is an active member of several professional societies including the American College of Radiology, the American Society of Radiation Oncology, and the American Society of Clinical Oncology. She has been listed in the directory of America's Top Oncologists and The Best Doctors in America since 2006, and she has been on the Castle Connoll's list of &ldqup;Top Doctors: New York Metro Area” since 2011. Dr. Hershman is Leader of the Breast Cancer Program of the Herbert Irving Comprehensive Cancer Center at Columbia University. She completed her medical degree at the Albert Einstein College of Medicine, and completed her internal medicine and oncology fellowship training at Columbia University Medical Center, where she served as Chief Resident. During that time she completed a Master's degree in Biostatistics at the Mailman School of Public Health. She has developed nationally recognized expertise in breast cancer treatment, prevention, and survivorship. She has also developed a comprehensive multidisciplinary program to study ways of improving cancer care delivery (CCD), reducing disparities and designing studies to improve the quality of life and quality of care in BC survivors. She has received funding from the American Society of Clinical Oncology, American Cancer Society, Department of Defense, Breast Cancer Research Foundation, PCORI, and the National Cancer Institute. She currently has several R01 grants, and has mentored numerous faculty members who have been granted mentored career development awards. Dr. Hershman has published over 250 scientific articles and has received several awards including the highly prestigious Advanced Clinical Research Award in Breast Cancer from the American Society of Clinical Oncology and the Advanced Medical Achievement Award from the Avon Foundation. She has several national leadership roles in oncology. Within SWOG she is the Co-Pi of the NCORP Research Base and is Co-Chair of the Cancer Care Delivery Committee. 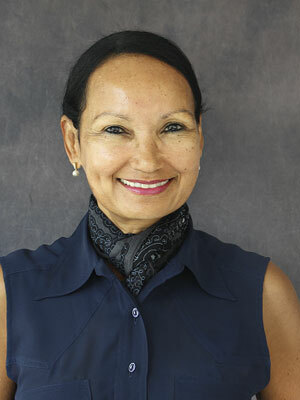 Within ASCO she was selected to participate in the first Leadership Development Program and has been the Chair of the Grants Selection Committee, the leader of the education tack for Health Services, she has been on numerous committees including the quality of care committee, the obesity task force and the workforce advisory committee. She is on the editorial board for the Journal of Clinical Oncology and is an Associate Editor at the Journal of the National Cancer Institute. 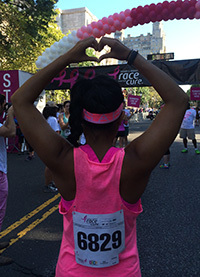 I am a medical oncologist specializing in the care of patients with breast cancer. As a physician-scientist, I also lead a research laboratory that is focused on developing targeted therapies tailored for specific breast cancer subtypes and for individual patients. I have a particular interest in better understanding triple negative breast cancers, with the goal of integrating genetic analysis to the development of improved treatments for our patients. I am co-PI of the Breast Tumor Biospecimen Repository, which is a bank of patient breast tumors; analysis of these tumors will provide insights into the genetic changes that determine sensitivity to specific targeted therapies for breast cancer. I am also co-PI of a study investigating the use of patient-derived xenograft models as a model for chemotherapy treatment sensitivity for patients with triple negative breast cancers; if successful, these models may be used in the future to help us better tailor treatments for individual patients. My research laboratory has identified several new candidate therapeutic targets for Her2+ and triple negative breast cancers resistant to current treatments, and we are working to translate our findings to clinical studies and trials. I am a member of the American Society of Clinical Oncology and the American Association for Cancer Research. 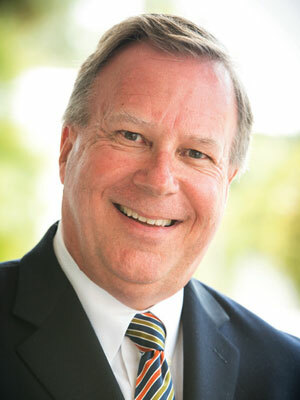 Kevin Kalinsky, M.D., M.S. is an Assistant Professor of Medicine at the NewYork-Presbyterian Hospital/Columbia University Medical Center. Dr. Kalinsky received his undergraduate B.A. from Emory University. He received his M.D. from the Medical University of South Carolina and completed his Internal Medicine internship and residency and Hematology/Oncology fellowship at Tufts Medical Center. In Boston, he also trained as a breast cancer clinical research fellow at Massachusetts General Hospital. In addition, he completed an advanced oncology fellowship in breast cancer at Memorial Sloan-Kettering Cancer Center. Since joining as a faculty member, Dr. Kalinsky completed a Master's program in Biostatistics, PatientOriented Research at Columbia. Dr. Kalinsky cares for patients diagnosed with breast cancer and teaches on the Breast Oncology service. He was recently awarded the Ewig Clinical Scholar Teaching Award at Columbia. Dr. Kalinsky's research involves the development of early phase clinical trials to assess novel therapeutic agents in breast cancer based on tumor genomics. The goal of his research is to translate findings developed at the bench to clinical trials for study at the bedside. His work is funded by a number of sources, including the National Institute of Health and SWOG/Hope Foundation. He is a recipient of the 2017 NCI Cancer Clinical Investigator Team Leadership Award, as well as the Physician of Impact Award by Komen Greater NYC. Dr. Meyers' childhood dream was to become a doctor. When she was 14 years old, she went on a school trip to NYU Langone Medical Center to learn about health careers. That experience led to her desire to attend NYU School of Medicine. This dream later became a reality. She was drawn to medical oncology because of the cancer patients she met and their profound stories of courage. As a medical oncologist, she realizes that people's experience of cancer does not end when they finish treatment. They sometimes endure persistent and prolonged side effects. As we continue to develop more effective treatments for our patients, we have a growing population of cancer survivors who remain affected, emotionally and physically, by the impact of cancer. I am passionate about improving the quality of life for cancer survivors and serve as the director of our Cancer Survivorship Program at Perlmutter Cancer Center. My practice is largely devoted to treating people who have breast cancer. I provide comprehensive care with the goal of improving overall lifestyle and health before, during, and after treatment. I also work to advance clinical trials on survivorship. I am honored to be considered one of New York Magazine's “Best Doctors in New York” and recognized by Castle Connolly's “Top Doctors” series for the New York Metro Area. I have been quoted widely in the media on the topic of breast cancer and am proud and privileged to work with the wonderful healthcare professionals at NYU Langone's Perlmutter Cancer Center. A New York City native, Dr. Newman received a bachelor's degree in chemistry from Harvard University in 1981, a medical degree in 1985 from SUNY Downstate College of Medicine and a master's degree in public health in 2001 from the Harvard T.H. Chan School of Public Health. 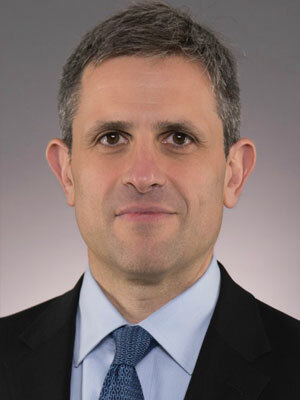 Dr. Newman completed a general surgery residency at SUNY Downstate Medical Center, joining its faculty as an assistant professor of surgery before pursuing fellowship training in surgical oncology at the University of Texas MD Anderson Cancer Center in 1997. After completing her fellowship, she joined MD Anderson's faculty as an assistant professor and staff surgical oncologist in 1999. She served as associate director of the Walt Breast Center at the Karmanos Cancer Institute/Wayne State University from 2000 to 2002, when she was recruited to serve as director of the Breast Care Center for the University of Michigan in Ann Arbor from 2002 to 2015. Dr. Newman left the University of Michigan in 2015 to become director of the Breast Oncology Program for the multi-hospital Henry Ford Health System, and has retained adjunct professorships with both the University of Michigan and the University of Texas M.D. Anderson Cancer Center. 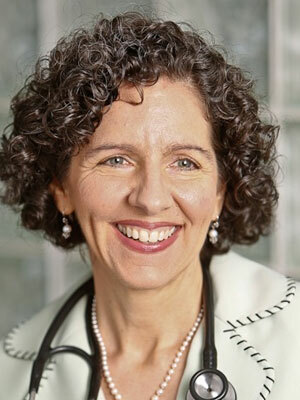 Dr. Newman has held leadership positions on several national committees, including the Centers for Disease Control and Prevention's Advisory Committee on Breast Cancer in Young Women, the National Institutes of Health's Clinical Trials Advisory Committee, and the National Institute on Minority Health and Disparities' Advisory Council. 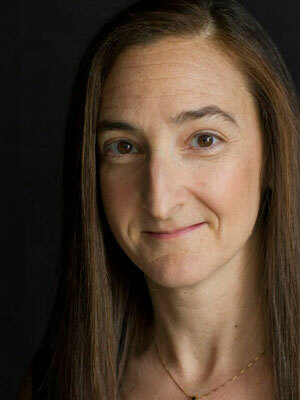 She has authored 136 studies published in peer-reviewed journals, and is currently on JAMA Surgery's editorial board. 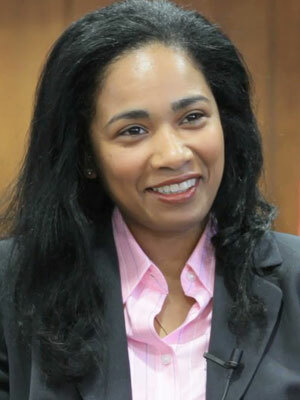 A fellow of the American Society of Clinical Oncology, Dr. Newman's work has been recognized through several awards, including Crain's “Health Care Hero” in 2017, the Triple Negative Breast Cancer Foundation Hero Award in 2012, and the National Medical Association Women in Medicine Award in 2010. She was named “Michigander of the Year” by the Detroit News in 2011 and a Breast Cancer Angel by O Magazine in 2012. Hour Detroit Magazine has named her one of the “Top Docs” for surgical oncology annually since 2009. She is a Castle Connolly “Top Doctor for Cancer” in America. In 2016, she was named a Komen Scholar by the Susan G. Komen Breast Cancer Foundation and was appointed to the Komen Scientific Advisory Board in 2017. Dr. Stevens is Director of Radiation Oncology at White Plains Hospital Center for Cancer Care. Dr. Stevens specializes in the management of breast and gynecologic cancers, lung, rectal, esophageal, pancreatic, bladder, central nervous system, myeloma and hematologic malignancies. Dr. Stevens has expertise in the use of numerous advanced radiotherapy treatment techniques, including stereotactic ablative radiotherapy/stereotactic body radiotherapy (SABR/SBRT), intensity modulated radiation therapy (IMRT), volumetric modulated arc therapy (VMAT), image guided radiation therapy (IGRT), stereotactic radiosurgery (SRS), 3D-conformal radiotherapy (3D-CRT) and brachytherapy for breast, gynecologic and other malignancies. Dr. Stevens received her medical degree from the New York University, completing internship and residencies in Internal Medicine and Radiation Oncology at New York University Medical Center. 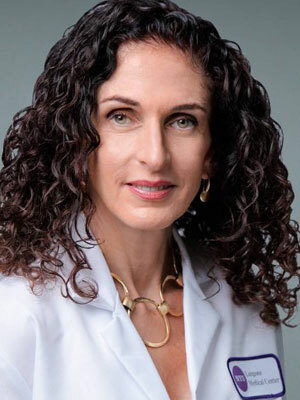 Prior to joining the staff, she served as Assistant Professor of Radiation Oncology and Attending Physician at the Tisch and Bellevue Hospitals of New York University Medical Center where she had both clinical and teaching responsibilities. Dr. Stevens has published several scholarly articles, in peer reviewed journals, related to the role of radiation in the treatment of pre-cancerous and early stage breast cancer as well as gynecologic cancers. Dr. Stevens has had an active role in many national and local societies including the American Society for Radiation Oncology (ASTRO), as Vice President of the New York Metropolitan Breast Cancer Group, as Chair of Education and Dissemination for the National Accreditation Program for Breast Centers (NAPBC), as the ASTRO representative to the NAPBC board and as Past President of the New York Roentgen Society. For the past fifteen years, Dr. Stevens has served as Director of Radiation Oncology for the White Plains Hospital Cancer Program.